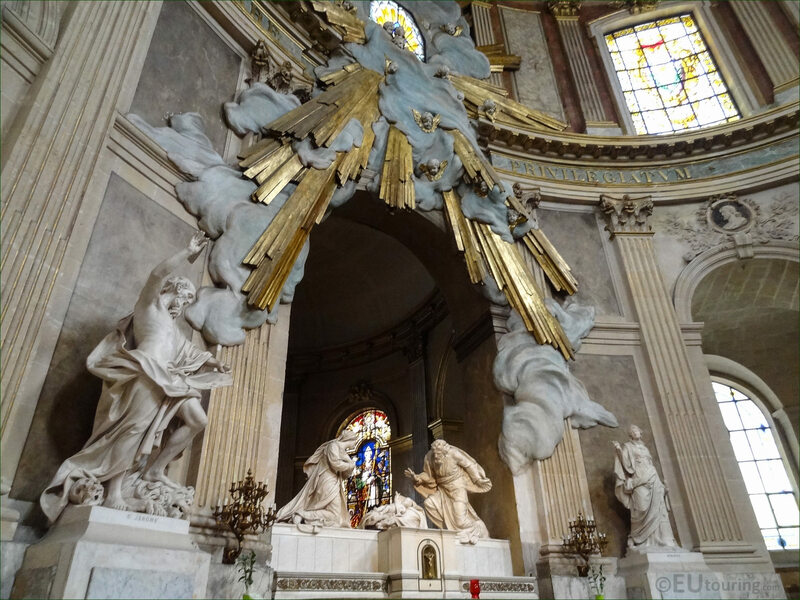 We were at the Eglise Saint-Roch in the 1st Arrondissement of Paris, when we took these high definition photos showing a statue depicting Saint Jerome, which was sculpted by Lambert Sigisbert Adam, known as Adam the Elder. This first HD photo shows the statue of Saint Jerome who was born in around 347 and became a priest, theologian and historian, who is most well recognised for his writings including translating much of the bible into Latin, which became known as the Vulgate, and is venerated as a saint within the Roman Catholic Church. 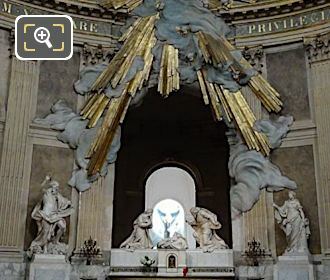 Now here you can see the location of the Saint Jerome statue located within the Eglise Saint-Roch to the left hand side of La Chapelle de la Vierge, which in English translates to the Chapel of the Virgin, that was constructed by Jules Hardouin-Mansart at the start of the 1700s for this historical church on the Rue Saint-Honore, and this statue was constructed in marble in 1752. 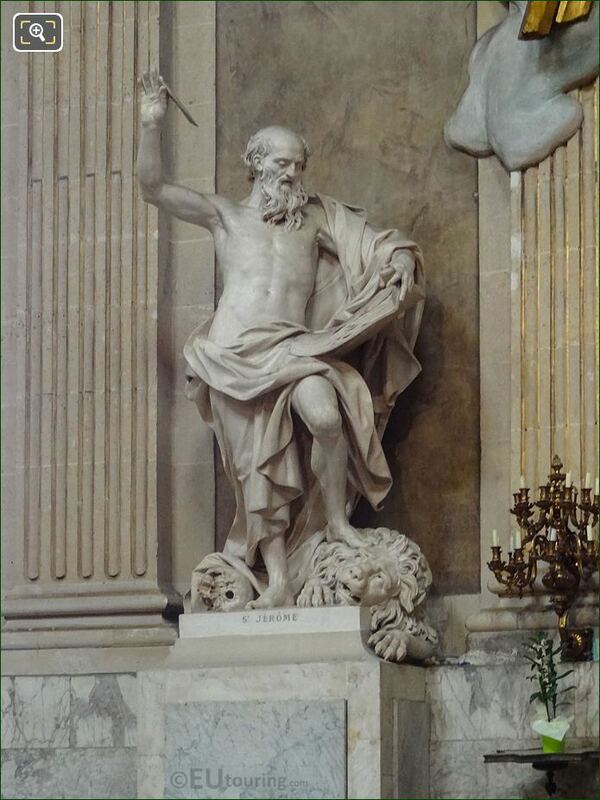 The statue of Saint Jerome was produced by Lambert Sigisbert Adam, who was born in Nancy in 1700 and followed in his fathers footsteps to become a French sculptor, yet his two younger brothers also became sculptors, so he became known as Adam the Elder, winning the Colbert Prize in 1723 that became referred to as the Prix de Rome. 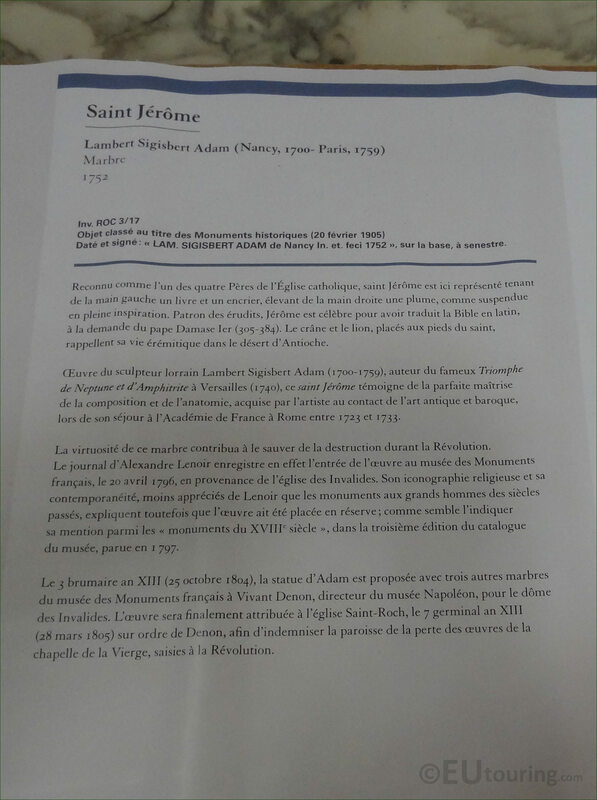 Lambert Sigisbert Adam received several public commissions including from King Louis XV who presented some of the statues to Duke Frederick II, which are still to be found in Germany, although many of his works are now held within museums in France such as the Musee du Louvre and the Musee Carnavalet in Paris plus within his home town. 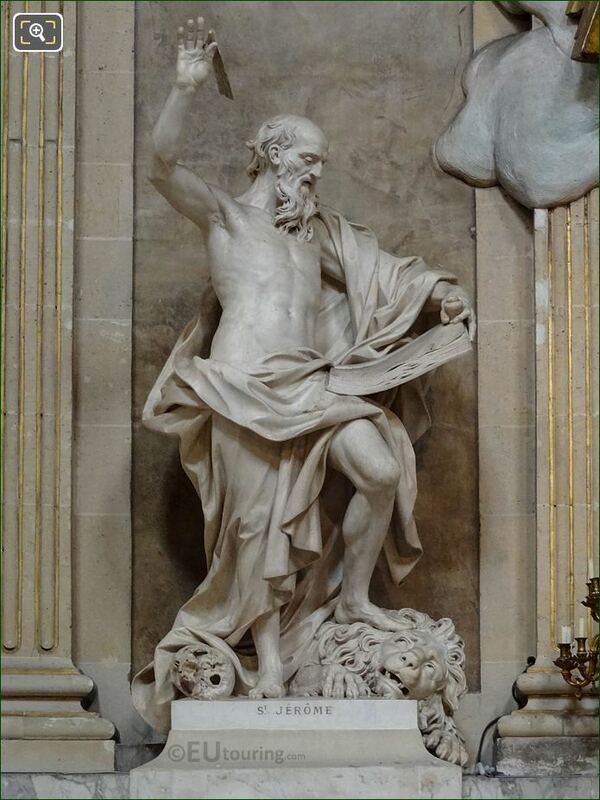 You will find that this statue of Saint Jerome was produced in marble and being that he is classed as the Patron Saint of translators, librarians, students and encyclopaedists, also recognised as a Doctor of the Church in Roman Catholic Religion, this is why Saint Jerome has been depicted as though writing holding a writing implement like a quill in his right hand, and his feast day is celebrated on 30th September. 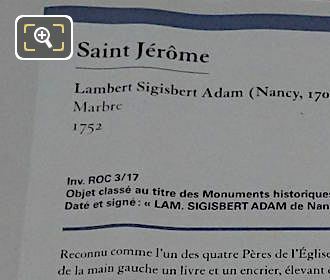 However, in this photograph you can see the tourist information board that provides additional details about this particular Saint Jerome statue, which fortunately was saved from being destroyed during the French Revolution, although many art works within the Saint-Roch Church were destroyed. 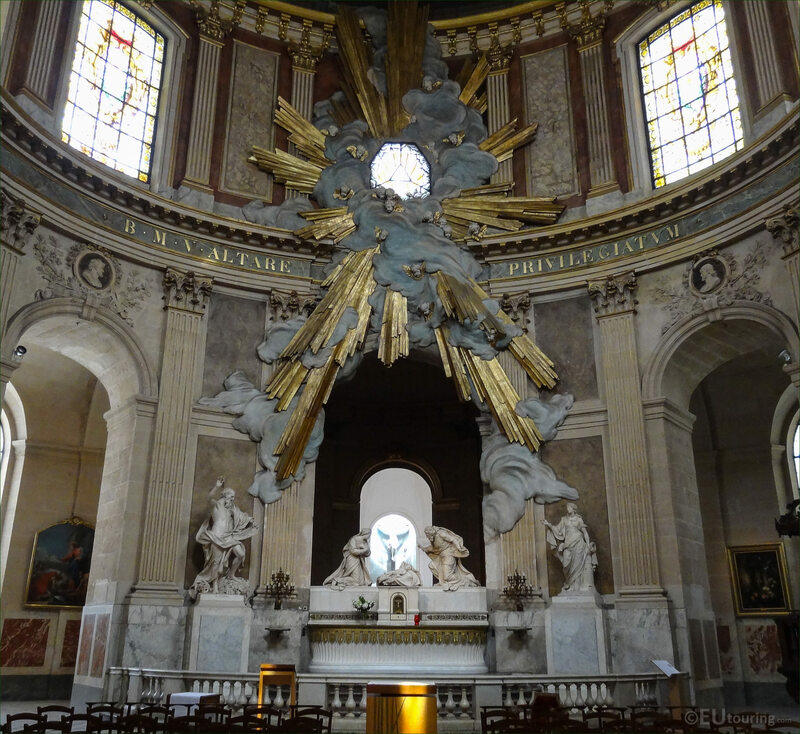 So having been placed within the Museum of French Monuments in 1796, it was then proposed on 25th October 1804 that this along with three other marble statues should be assigned to the Eglise Saint-Roch, eventually reaching its new home of 28th March 1805 to replace some of those previously destroyed, and almost 100 years later, on 20th February 1905 it was classified as an historical monument.